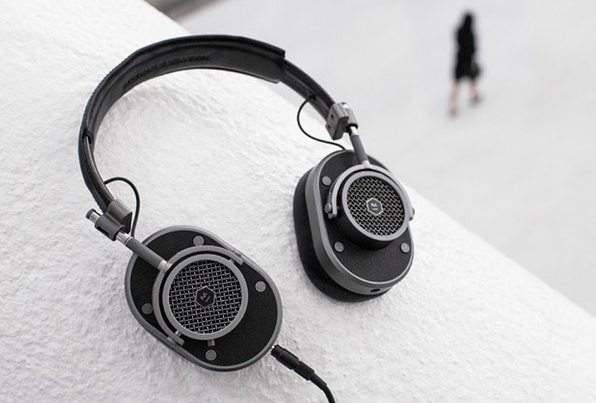 Master & Dynamic, a luxury audio brand founded by entrepreneur Jonathan Levine in 2014, recently opened its first pop-up shop—giving New York City shoppers a unique opportunity to experience its new Greene Street Collection. Levine’s son, an aspiring DJ, was the inspiration behind the brand. Using Storefront to engage with Master & Dynamic’s active online community, the pop-up occupied 700 SF of space in NYC’s popular Nolita neighborhood from November 30 through December 24, 2017. Headphones start at $299 and are upwards of $1,000, and earphones start at $129. Designed with camouflage décor to complement the Green Street Collection’s olive and camouflage headphone design, the pop-up enabled customers to experience the company’s quality sound products including the new 35-pound Sir David Adjayes-designed concrete and wireless speaker unit which retails for $1,800. In addition, Master & Dynamic energized its base on social media with appealing Instragram posts that invited customers to experience the #FutureOfRetail in one of the most bustling holiday communities in the country. CMO Matthew Lloyd, credited with conceiving the pop-up, explains that the retail store served as a test of brick-and-mortar strategy while honoring the city that “continues to inspire, fuel, and nurture” the brand. Read more here.